I told Jordan this morning, "4 more getups!" I cannot wait to have the entire summer off with him. I get to watch him hit more milestones (hopefully walking is one of those). 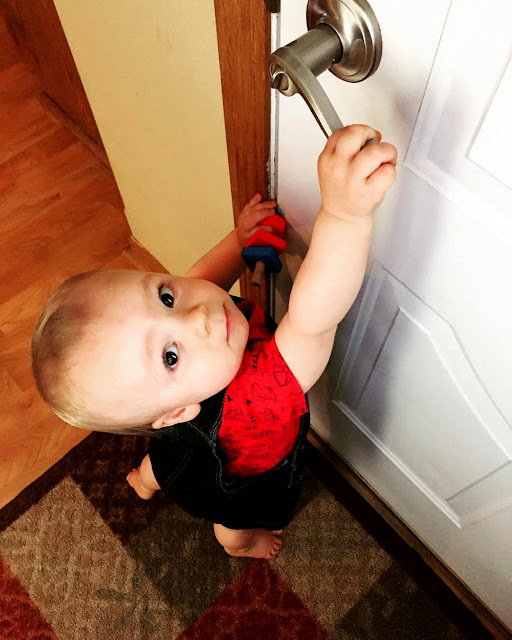 I have those same door handles but I guess I should have thought about the fact that those would be easier for a little one to pull on before we changed them out! haha Jordan is so cute!! Oh and are you going to update your timeline when ya'll try for #2?